Today on the 70th Republic Day, we take a look at some of the rivalries between popular car models that spawned for the past seven decades. As we celebrate India's 70th Republic Day, there's a lot to look forward to as the country achieves milestone after milestone in many sectors. But the growth that the automotive sector has seen in the country, not many will be able to boast of such high numbers. The fact that India is now one of the top 5 regions for the automobile industry to thrive just shows us how the consumer sentiment for vehicles in the country is growing. In fact, if India continues to go at the current rate, we could become the biggest market for the automotive industry in the world by 2022. With new norms kicking in next year, there's a lot to look forward to, but we've now had a rich past too. The rivalry between Premier and Hindustan Motors went on for more than a decade. 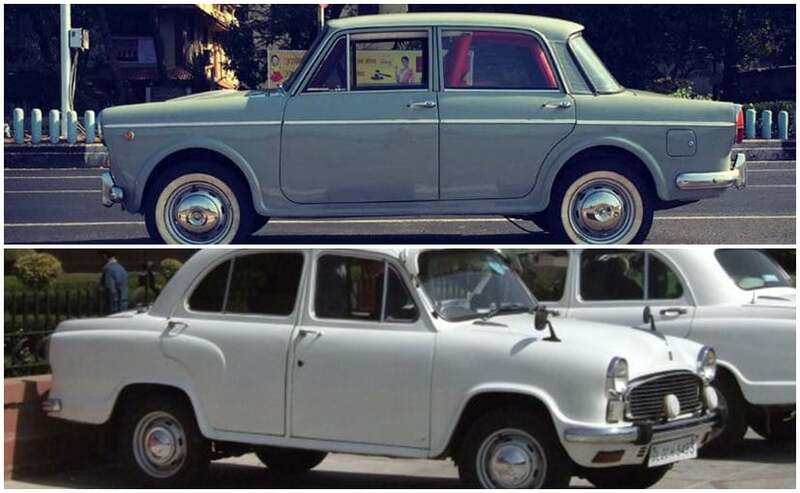 Both the companies have been part of the automotive industry in India since 1960 and their iconic cars, the Padmini and the Ambassador offered stiff competition to each other. The Padmini was earlier marketed as the Fiat 1100 Delight and the name came to the model only in 1973. It was equipped with a 4-cylinder, 1089 cc motor good enough for 40 bhp and a peak torque of 71 Nm. There was a 4-speed manual transmission which sent power t the rear wheels and it still is very much part of the taxi fleet in Mumbai. The Ambassador started its innings way before the Padmini, in 1958 and was big on space with people carrying close to 8 or 9 family members thanks to the bench-type arrangement at the front and rear. It had a big boot too. Power came from a 1.5-litre engine but it was later offered with a more powerful 1.8-litre unit supplied by Isuzu. Both the models battled it out for the top spot and the Padmini was finally discontinued in 2001. The Ambassador too faded away into the depths of the new-age of the auto industry, but we're being assured time and again that the nameplate will make a comeback. Maruti Suzuki, with the Zen hatchback, which it introduced in 1993, swept away the market and yes it was a brilliant car, no doubt. It had a 993cc petrol engine which was good enough for 60 bhp and could develop 78 Nm of torque. It had a five-speed manual transmission to offer and power windows up front as also air conditioning. And of course, it was zippy too. An absolute delight of a car to drive in the urban setting. The multi-point fuel injection system in this one ensured that you got a 12 kmpl. But just five years after the Zen was launched in India, came a car, that took everyone by surprise and it was the indeed the Hyundai Santro. The tall boy stance and the design of the car made it a hit among customers. It was bigger, in terms of space than the Zen, more power on offer too and just enough features more to keep the customers interested. The price point was close to ₹ 3.5 lakh and the engine returned a fuel efficiency figure of approximately 18 kmpl which was one of the biggest USPs of the car. The Zen was discontinued in 2006, while the Santro had a 16-year long production run until it was discontinued in 2014. This particular rivalry started in 2006, with the launch of the Hyundai Verna. 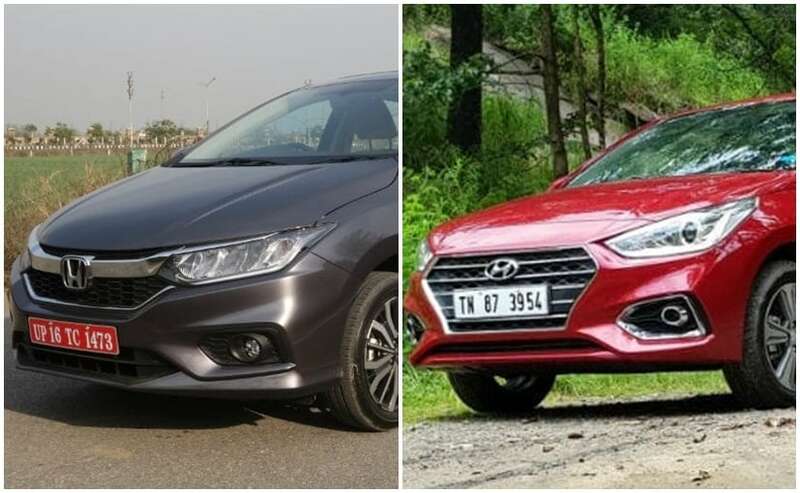 The Honda City reigned supreme in this segment from 1998, but in 2006, we saw Hyundai up the ante with the Verna and that's a rivalry that is now in its 13th year. 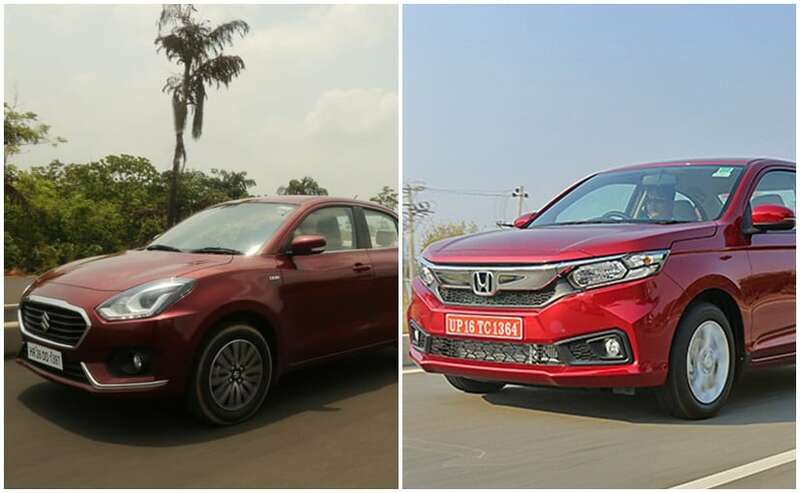 Both the cars have had their share of facelifts and there have been innumerable changes in the designs of both the cars. Both at one point in time understated in design, have now gone in for a more chiselled and sculpted look. The features on offer have soared with both offerings everything for a sunroof to new-age infotainment systems to better and more powerful engines. We've been comparing these cars ever since they were launched and the scales have certainly titled in the favour of the Korean car maker which now offers more value for money proposition. Of course, there's a long way to go from here and we'll see these badges at it again very soon. Maruti Suzuki took the plunge into the subcompact sedan segment in 2011. Back then, the car was nothing great to look at and it was Maruti's attempt to avail of the tax exemptions provided to car makers who made sub-4-metre cars. The gamble worked and though it was Tata Motors who entered this segment with the eCS, it was the Dzire which propelled it to a new level. However, it was just 2 years later that Honda decided to enter this game with the Amaze. It was, in fact, the first time in the world that Honda launched a diesel engine with the Amaze. The Amaze was more proportionate and looked better than the Dzire because it resembled a sedan rather than a hatchback with a sedan like boot. The Amaze got its fair share of success and the rivalry continues to this day, with the new generation models battling it out for the top spot. While the Amaze is the more powerful of the two with 99 bhp coming out of that 1.5-litre diesel motor, the Dzire offers more features and is the customers pick. However, Honda has already sold close to 63,000 units of the new generation Amaze in India and is not making things easier for the Dzire. This one is the battle of the tall boys. Both are new generation models and both have gotten bigger and better with age. While the Wagon R has been in the market for about two decades now, the Santro too has spent years in the Indian market. 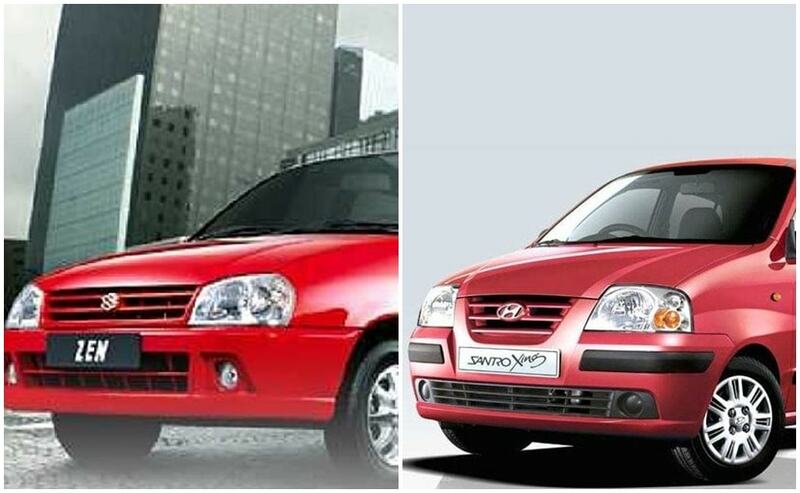 In fact, it was the Santro that was first launched in India in 1997, while the Wagon R came in 1999. However, the Hyundai had to end the production of the Santro in 2014, while the latter continued its reign until the new-gen Santro came back in 2018 to challenge Maruti's tall boy. The Santro now has a new look and while the Wagon R retains its boxy proportions it's now available with a more powerful engine. The feature list on both is off the charts and yes there's AMT available on both the cars. It's then just a matter of time as to which one does better on sales. 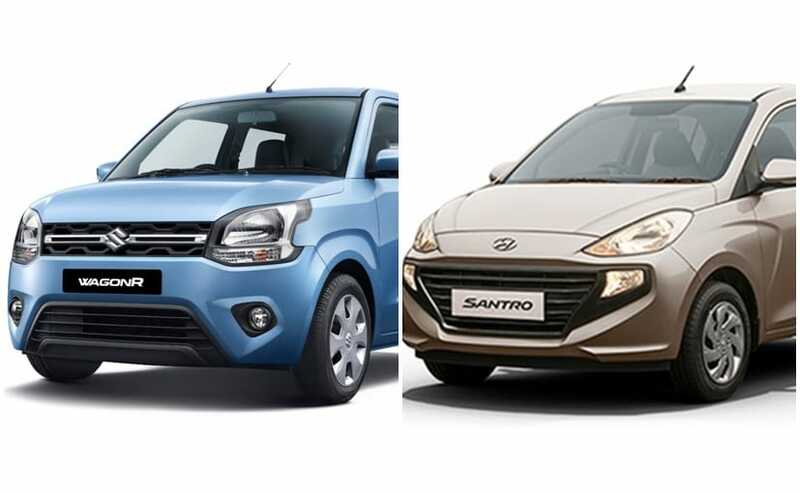 Both the Wagon R and the Santro have a legacy and though the Wagon R has been one of the best selling cars in the country, the new Santro caters to the need of the new generation of customers. It'll be great to see how this battle turns out. 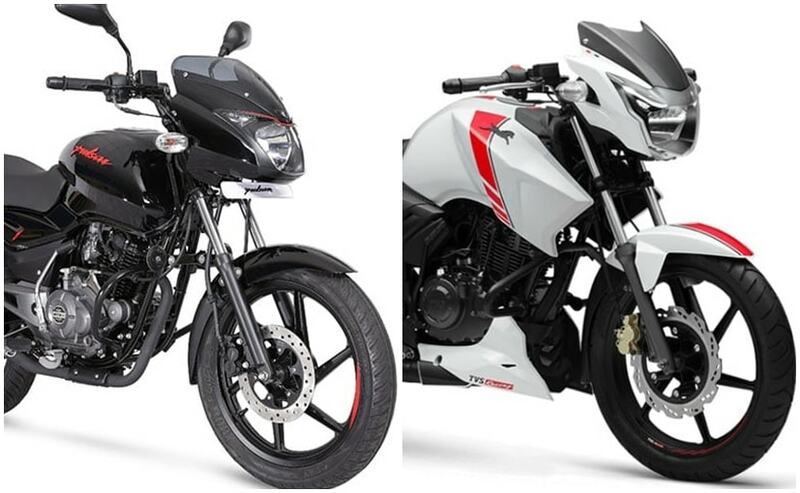 Similarly, in the world of entry-level performance motorcycles, two names that have always locked horns with each other are Bajaj Pulsar and TVS Apache. Over the years, both the motorcycles have gone through a plethora of changes, offering strong performance to their respective buyers at every level. Bajaj Auto was the first to enter the 150 cc performance segment with the Pulsar powered by a 150 cc air-cooled engine making over 11 bhp, in 2001 and soon became the segment leader. The same year, the company also launched the 180 cc version of the bike. In 2003, the second generation Pulsars featured Bajaj Auto's newly developed DTSi technology, leading to a marginal boost in power. By 2005, the Pulsar brand was dominating the 150 cc to 200 cc motorcycle space, and this is when TVS decided to make things interesting with the launch of the all-new Apache 150. Yes, the first-generation TVS Apache was also powered by a 150 cc engine, belting out about 13.5 bhp. With the second-gen model, the company also bumped the engine to a 160 cc motor, offering an increased output of over 15 bhp. Today both the brands have branched out creating their family offers and range of different motorcycles in multiple engine capacity. The Bajaj Pulsar family today comprises Pulsar 135, 150, 180, 160 NS, 220FI, 200 NS, and 200 ₹ The Apache family, on the other hand, has the Apache RTR 160, RTR 180, RTR 160 4V, RTR 200 4V, and the top-spec 310 RR.